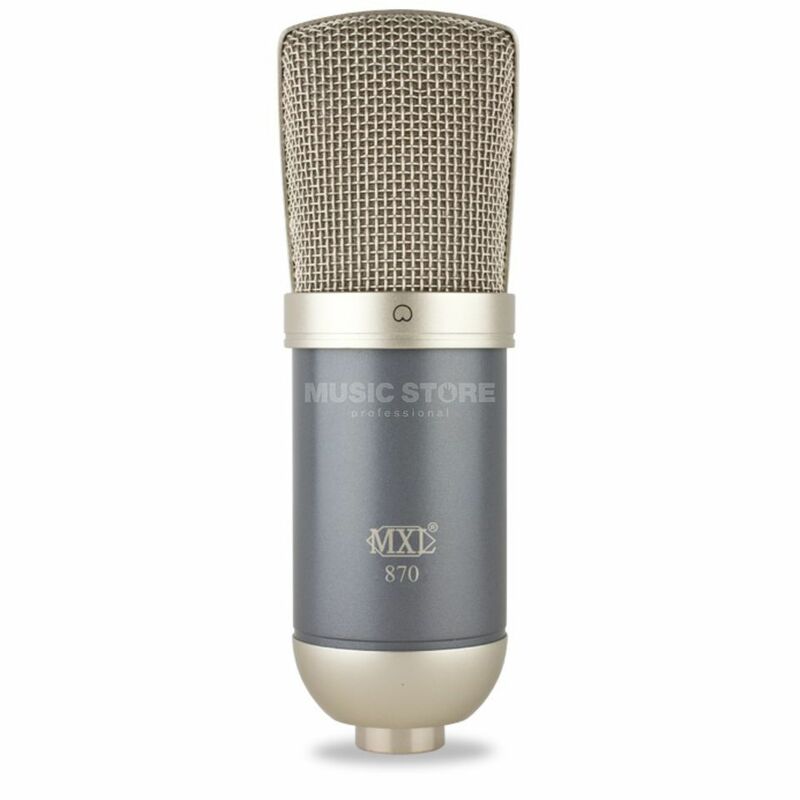 The MXL 870 Large Diaphragm Condenser Microphone is a large diaphragm condenser microphone, featuring a cardioid polar pattern, with a 32mm capsule, and a 30Hz - 20kHz frequency response. The MXL 870 Utility Studio Condenser Microphone is the mic you need no matter what you're recording. The 870 provides excellent sound reproduction on vocals and a wide range of instruments in a studio setting. The large 32mm capsule with FET preamp delivers a smooth, balanced output, and the 870's smaller size makes it the ideal choice to fit into tight spots like drum kits. The 870 Utility Microphone is a no-nonsense studio mic for dependable, clear studio recording across the board.